A deep, full-bodied, dry red wine with rich aromas and intense flavor, serve with steak or lamb just because. A medium-bodied, sweet, rose wine with hints of strawberry. A rich, sweet, dessert wine with intense aromas and higher alcohol content than ordinary table wine, meant to be sipped slowly after a wonderful, Texas dinner. A sweet, crisp, white wine with a floral bouquet and citrus aromas. A medium-bodied, semi-sweet white wine with a musky aroma and hints of vanilla. A sweet, light, fruity wine with hints of apple and a crisp finish. A sweet, crisp, full-flavored red wine with hints of raspberry and oak, perfect for a summer’s day in the shade. A medium-bodied, semi-dry white wine with a pleasant, fruity bouquet and clean finish. A spicy, semi-sweet, medium-bodied red wine with hints of coffee and perfume, perfect with Mexican food or bar-b-que. A medium-bodied, dry white wine with aromatic notes of peaches and apricots. 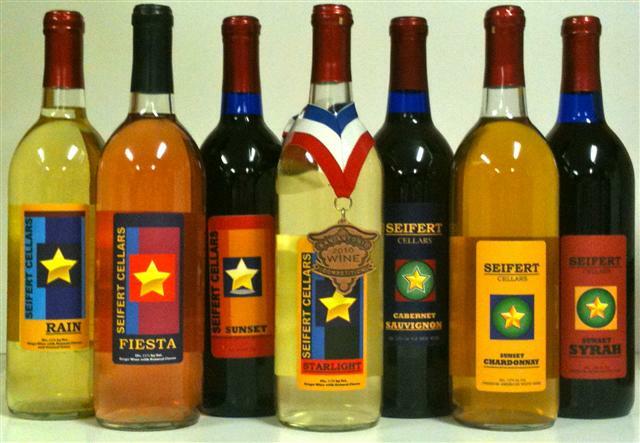 Seifert Cellars and Wild West Vines began in 2005 as a dream to grow quality grapes and produce quality wine in the Concho Valley region of West Texas. After producing wine from other vineyards’ grapes for a number of years, we decided that we would try it on our own. 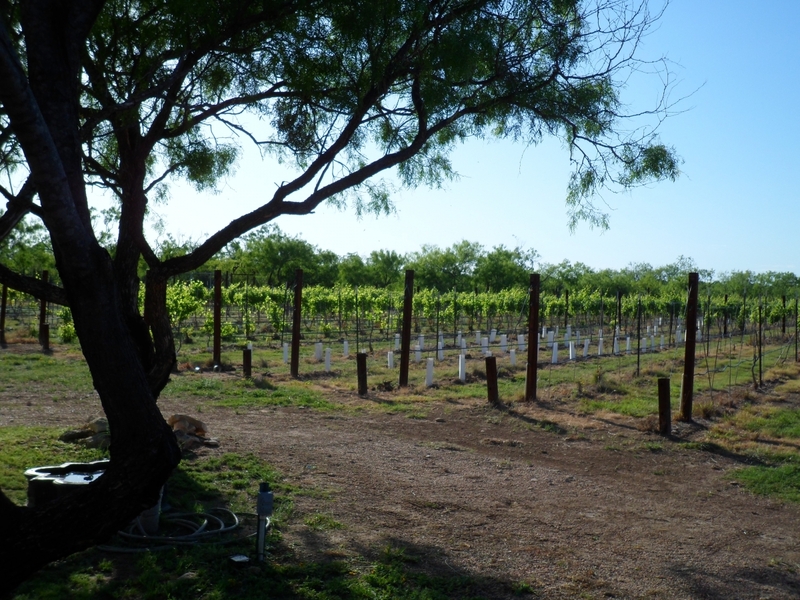 Our first plantings of Lenoir Grapes brought to Texas by Spanish Missionaries in the 1600s, gave us the confidence that our dreams could be realized on the shores of Lake Ivie. We currently have nine acres under cultivation with well water drip irrigation, a vertical shoot position trellis system and a high fence surrounding the entire vineyard. We are growing various grape varieties including Cabernet Sauvignon, Viognier, Riesling, Syrah, Vermentino, Chenin Blanc, and Tempranillo. 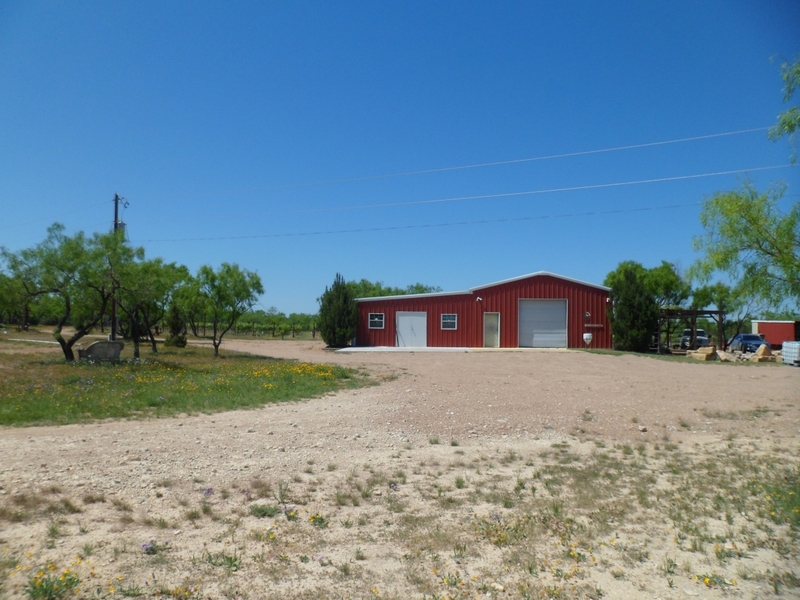 During our “Startup” phase, we have had to contend with numerous and varied challenges, including the usual suspects of predators (deer, rabbits, raccoons, birds), pests, grasshoppers, mold, herbicide drift, and weeds. Then there is the weather (drought, hail, freezes), various labor issues, and of course the constant tractor and equipment malfunctions. Despite these various “setbacks”, we are determined to succeed – or die to try. Why? — Because we’re from Texas, of course.